Singapore is an island city-state of 719 sq km with a population of 5.5 million people -139 sq km and 3.7 million people more than at independence in 1965. This growth is only one of the many indications of the economic, social, environmental and technological developments it has gone through over the past 50 years. An important global city, Singapore will continue improving its economic and social conditions to match both local expectations and global prospects. Trends indicate that it will become more urban, more industrialised and more competitive. So the goals will be challenging, given the global economic situation and uncertainties like climate change, over which it has no control. Already Singapore is considered the second-most competitive country, after Switzerland, and ahead of the United States. According to the Global Competitiveness Report 2015-2016, Singapore is first in the world in providing basic requirements (institutions, infrastructure, macroeconomic environment and health and primary education); second in efficiency enhancers (higher education and training, goods and labour markets efficiency, financial market development, technological readiness and market size); and 11th in innovation and sophistication factors (business sophistication and innovation). However, Singapore’s overall development is linked to a great extent to “blue development”. This refers to the water and energy available for the rising number of uses and users -in sufficient quantity and quality and at affordable prices for everyone. Singapore aims to be self-sufficient in water by 2060, when water consumption will double from today’s level. It will have to accommodate the demands of a growing domestic and non-domestic sector, mainly with Newater and desalinated water. These unconventional sources of water are predicted to represent 55 per cent and 25 per cent of the supply respectively by 2060. Given the goals to assure not only sustainability but also water self-sufficiency, a change of paradigm is essential -because water supply systems may not be robust enough to cope with external changes such as prolonged droughts, energy prices and availability. It is also essential to ensure long-term availability of water, in quantity and quality, for all development-related activities. 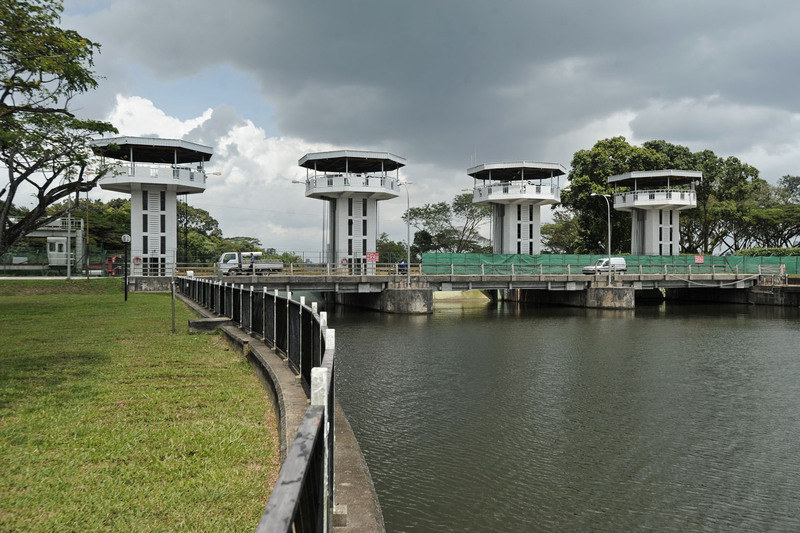 For Singapore to be self-sufficient in water, a new “water source” is necessary, and it should focus on water demand management. It will complement the existing sources of water (local and imported water, Newater and desalinated water). This will help augment the water supply by reducing demand from the domestic, industrial and commercial sectors. This can be achieved by using economic instruments such as pricing and incentives and active engagement with all stakeholders. Objectives will include progressively improving water-use efficiency, enhancing social equity and securing the financial sustainability of PUB, the national water agency. Contrary to common belief, consumers do not pay for all water and waste water-related services in Singapore. For example, drainage-related expenses are paid by the Government since they are considered to be public goods. The price of water has not risen since 2000, when the median employed resident household income was $4,398. Their water bills represented 0.69 per cent of income based on 20 cu m of water monthly. By 2014, the household income had increased to $8,292 and the water bill represented 0.36 per cent of its monthly income, almost half that of 2000. The question is whether raising the water price could threaten the most vulnerable sectors of society. The answer is no, if they receive targeted subsidies. Experiences from all over the developing world show that tariffs based on volume consumed and on socio-economic strata can be used successfully as part of pro-poor strategies. Pricing is only part of the equation. Other parts include more efficient use of water, where Singapore is already behind other cities. At present, an average person in the city-state uses 150 litres per day, a figure expected to drop to 140 litres per day by 2030. This will be an improvement but it is not enough. Some European cities already use one-third less water compared with Singapore’s 2030 target. In order to augment its water resources to provide clean water to all users and for all uses, the city-state will have to develop a more comprehensive strategy that should consider pricing, efficiency and understanding of human behaviour. Behavioural economics, a new field of knowledge, will provide new ways of reducing water use, which will be one of the main objectives of the proposed new “water source” for Singapore. Cecilia Tortajada is a senior research fellow at the Institute of Water Policy, Lee Kuan Yew School of Public Policy, National University of Singapore, and past president of the International Water Resources Association.